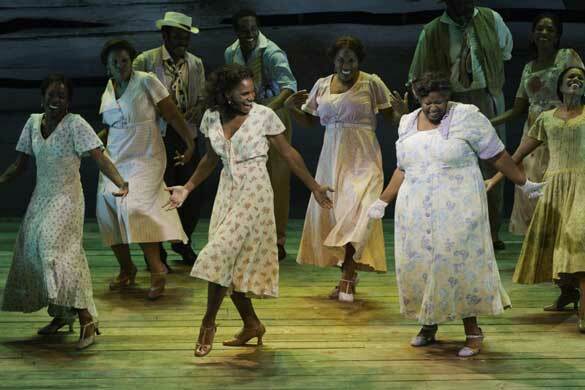 Home » Theatre » ‘The Gershwins’ Porgy and Bess’ Versus Stephen Sondheim and New York Critics: Will The Show’s Curtain Ever Rise on Broadway? That’s the current dilemma facing The Gershwins’ Porgy and Bess, a musical adaptation of the George and Ira Gershwin and DuBose Heyward opera Porgy and Bess currently in Boston as the producers and the estates of the original authors weigh the consequences of such bad press. Porgy and Bess, originally performed in 1935, had a torrid relationship with the opera community for decades since many did not consider the work legitimate opera based on its non-traditional songs that were influenced by African-American folk songs. More recently the opera has been praised as a masterpiece, which led Sondheim to have a negative outlook on the new Boston rendition when director Diane Paulus and writer Suzan-Lori Parks made significant changes to the opera, explaining that they felt the characters were “underwritten” and that they desired to make the work easier to understand for modern audiences. Sondheim wrote a scathing letter to the New York Times criticizing the pair and their approach, which were followed by the negative reviews by Brantley and Gerard. Normally it is very uncommon for Broadway critics to review a show while it is still in out-of-town tryouts, but Sondheim’s letter seems to have opened the floodgates of criticism early. Of course, early bad reviews won’t always sink a show — sure it’s a totally different type of entertainment, but Spider-Man: Turn Off the Dark still sells plenty of tickets despite mostly negative reviews — but when Sondheim and influential critics attack the show as borderline sacrilegious it certainly worries the estates of the show’s authors and anyone backing the show financially. The Gershwins’ Porgy and Bess is currently scheduled to open at the Richard Rodgers Theatre in January, but whether it actually gets there is a question that is very difficult to answer right now.